The ultraluxe cruise line Crystal Cruises has marked down its October 25 New York-Miami Caribbean cruise even further, with savings of up to 67% off brochure fares. Fares for the 12-day sailing on Crystal Symphony now start at $2,995 per person, including $1000/couple “As You Wish” shipboard spending credits. Crystal’s “Pink Sands and White Beaches” voyage begins with a scenic sail-away from New York followed by visits to Bermuda; St. Maarten, Antigua, Aruba, and the Cayman Islands. · A “Digital Filmmaking” theme offers camera buffs hands-on tutelage in travel video production from Travel Channel Academy founders throughout the sailing. · News junkies will relish insights from Shelby Coffey, formerly editor of the L.A. Times, president of CNN Business News and executive vice president of ABC News. · Animal lovers can help care for stray donkeys via Crystal’s gratis “You Care, We Care” voluntourism excursion in Antigua. Crystal’s passion for taking care of guests in an inviting environment of extraordinary space, quality and choices has earned the company more “World’s Best” awards than any other cruise line, resort, or hotel in history. With a host of complimentary amenities, from enlightening speakers and fitness classes to pampering pillow menus and specialty restaurant dining, featuring the cuisine of Nobu Matsuhisa and Piero Selvaggio, a Crystal cruise always offers tremendous value in luxury resort vacationing. Availability is limited; special fares are capacity controlled and subject to change. For more information/Crystal reservations, contact a travel agent. 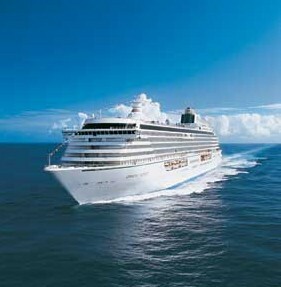 Call 888-799-4625 or visit www.crystalcruises.com. Fans of the most treasured songs in country music history are in for a treat when the Opry Country Classics Cruise sails Jan. 30 – Feb. 6, 2011 aboard Royal Caribbean’s Freedom of the Seas to the Eastern Caribbean. The music-filled, seven-night adventure features Grand Ole Opry stars Charley Pride, Jim Ed Brown and Jeannie Seely. Additionally, newcomer Chris Young, nominated for the Top New Solo Vocalist award by the Academy of Country Music, will be part of the line-up along with special guest Helen Cornelius. This marks the Opry’s 14th annual cruise and its first on Royal Caribbean International. A full casino, deck activities including a FlowRider surf simulator, nine-hole miniature golf course, dancing, first-run movies, and gourmet dining also are included. All meals in Freedom of the Seas’ main dining room and Windjammer Café, including a special “Welcome Aboard” party with the Captain and a gala Bon Voyage Dinner are included. Departing from Port Canaveral, the cruise visits three ports of call: St. Thomas, St. Maarten, and CocoCay, Royal Caribbean’s private island destination in the Bahamas. At 160,000 gross registered tons, Freedom of the Seas has a capacity of 3,634 guests at double occupancy. 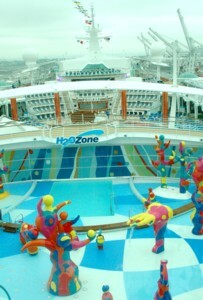 In addition to the exclusive Freedom-class amenities, the ship also features the cruise line’s exclusive amenities such as the Studio B ice-skating rink; full-size basketball and sports court; iconic rock-climbing wall; and the Royal Promenade, a boulevard that runs nearly the length of the ship, lined with boutiques, restaurants, and bars and lounges. Prices for the Opry Country Classics Cruise start at $1,158 per person, government taxes and fees are additional. To book this cruise and participate in all the private Opry functions, contact Corporate Travel Service Inc. at 866-653-OPRY (6779). For more information on each artist on the cruise, details about ports of call, on board activities, visit oprycruise.com.